If you haven’t already, it’s time to start thinking about whether or not you want to hire an intern for some summer help. Interns can provide great extra help around the office, and can also be a great source of fresh, creative ideas. Interns can also usually be hired for little-to-no money (we’ll discuss later whether that’s a good idea or not) and can be a great way to find young talent who might become great full-timers down the line. Job postings for interns are similar to job postings for other positions in your company, and so it is important to give them the consideration that they deserve. 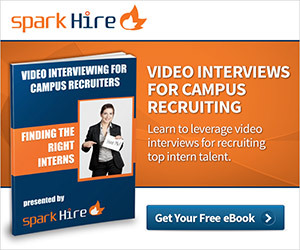 Begin your search for an intern by developing a clear job description for the position. Many unfortunate interns get stuck doing random office tasks, or doing nothing, without a definite job description. This wastes the potential of summer help. Design a list of daily tasks that an intern can accomplish with relatively little training. Choose things that will be educational for the intern and helpful for your office. Also consider how the intern’s work might progress over the course of the summer. Perhaps develop a project that the intern can accomplish over the course of the summer, or help the intern curate a portfolio of all they do as summer help. As your internship program develops, you could also create collaborative projects for all of the summer help. After developing a job description, it is important to decide how much you can pay your intern. We’ll talk about this next week. Collaborating with local colleges to offer class credit is another great option. Contact local colleges with information about your internship program, and see if you offer this valuable form of compensation to your summer help. Once the job description and compensation are set, it is time for a job posting. Job postings can go up in the usual places that you advertise your jobs. Although many interns are college students, recent graduates and other job seekers are increasingly considering internships for the valuable experience. With the traditional job postings taken care of, also consider advertising your internship directly through local colleges. Many colleges have a career center that encourages students to take internships for college credit. They may even have the opportunity for your company to attend a career fair, and meet potential summer help in person. How do your internship job postings differ from your regular job postings? Give us your tips for finding summer help below!